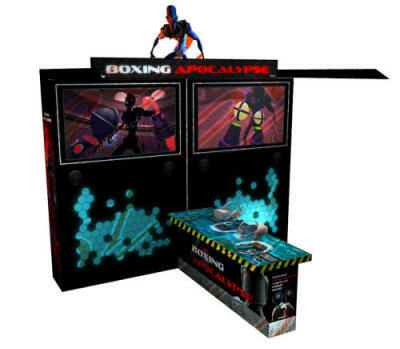 ​Boxing Apocalypse is an action combat game by creator/designer Mario Simone that features a fully immersive, intuitive fight system. Complete with power punches, finishing moves, interchangeable weapons, an energy shield for block/ counter combos, a customization armor system, and a challenge board to increase ranks among the prisoners. The Multiplayer VR Solution That Packs a Powerful Punch in a Small Package! A party of up to 4 adventurers battle a robot army determined to stop them as they travel across space and time to retrieve gold, treasure, and artifacts from exotic worlds. 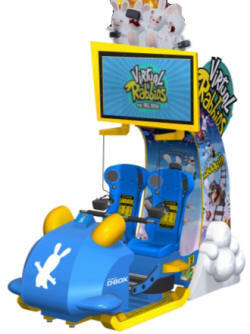 Step into the wacky world of Virtual Rabbids with the industry�s first attendant-free VR attraction for arcades and FECs. Developed from the ground up by LAI Games to operate like any other coin-op amusement game, The Big Ride was created in partnership with leading game developer Ubisoft. 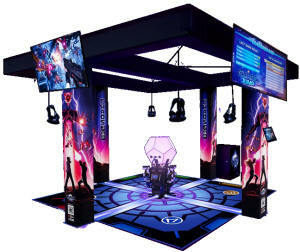 The attractive and practical cabinet design reflects LAI Games� time-honored experience in arcade game design, with a high quality and exciting all-ages VR experience that provides entertainment for both first time users and experienced enthusiasts.